On February 8, 1921, Peter Kropotkin died. 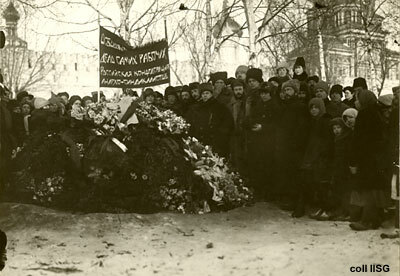 His funeral in Moscow was the last anarchist demonstration in the Soviet Union, as the Bolsheviks consolidated their dictatorship, imprisoning, executing and forcing into exile their revolutionary opponents on the left. 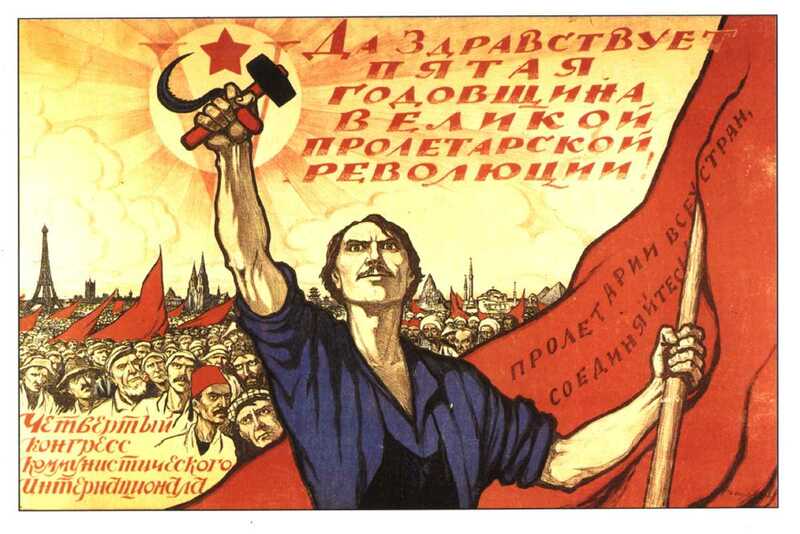 The Kronstadt rebellion against the Bolshevik dictatorship happened just a few weeks later. In April 1919, Kropotkin had written a letter to the workers of western Europe, arguing against foreign intervention in Russia, which the Bolsheviks would use as further justification for the suppression of all other revolutionary groups. He supported the soviets and workers’ councils against the Bolshevik dictatorship, which he correctly predicted would strangle the revolution. He also called for the reconstitution of a genuine workers’ International, rather than an International dominated by political parties, harkening back to the so-called First International, when mutualist, federalist, social democratic and anarchist workers joined together in economic solidarity against international capitalism. I’ve included most of Kropotkin’s letter, leaving out only the conclusion. I have been asked if I did not have a message for the workers of the western world. Certainly there is plenty to say an learn of the actual events in Russia. As the message would have to be long to cover all, I will indicate only the principal points. First, the workers of the civilized world and their friend in other classes ought to prevail on their governments to abandon entirely the idea of armed intervention in Russia whether openly or secretly. Russia is undergoing now a revolution of the same extent and importance as England under went in 1639 to ’48, and France in 1789 to ’94. Every nation should refuse to play the shameful role played by England, Prussia, Austria and Russia during the French Revolution. Further, it must be borne in mind that the Russian Revolution – which is trying to build a society in which all productive work, technical ability and scientific knowledge will be entirely communal – is not a mere accident in the struggle of contending parties. It was prepared by almost a century of socialist and communist propaganda, since the days of Robert Owen, Saint Simon and Fourier. And although the effort to introduce the new social system by means of a party dictatorship is apparently condemned to failure, it must be recognized that already the revolution has introduced into our daily lives new conceptions of the rights of labor, its rightful place in society and the duties of each citizen, – and that they will endure. Not only the workers, but all the progressive forces in the civilized world should put an end to the support given until now to the enemies of the revolution. Not that there is nothing to oppose in the methods of the Bolshevik government. Far from it! But all foreign armed intervention necessarily strengthens the dictatorial tendencies of the government, and paralyzes the efforts of those Russians who are ready to aid Russia, independently of the government, in the restoration of its life. The evils inherent in a party dictatorship have been accentuated by the conditions of war in which this party maintains its power. This state of war has been the pretext for strengthening dictatorial methods which centralize the control of every detail of life in the hands of the government, with the effect of stopping an immense part of the ordinary activities of the country. The evils natural to state communism have been increased ten-fold under the pretext that all our misery is due to foreign intervention. I should also point out that if Allied military intervention continues, it will certainly develop in Russia a bitter feeling toward the western nations, a feeling which will be used some day in future conflicts. That bitterness is always developing. In short, it is high time that the nations of Europe enter into direct relations with the Russian nation. And from this point of view, you – the working class and the progressive elements of all nations – should have your word to say. A word more on the general question. The re-establishment of relations between the European and American nations and Russia does not mean the supremacy of the Russian nation over the nationalities that composed the Czarist Empire. Imperialist Russia is dead and will not be revived. The future of these different provinces lies in a great federation. The natural territories of the various parts of this federation are quite distinct, as those of us familiar with Russian history and ethnography well know. All efforts to reunite under a central control the naturally separate parts of the Russian Empire are predestined to failure. It is therefore fitting that the western nations should recognize the right of independence of each part of the old Russian Empire. My opinion is that this development will continue. I see the time coming when each part of this federation will be itself a federation of rural communes and free cities. And I believe also that certain parts of western Europe will soon follow the same course. As to our present economic and political situation, the Russian revolution, being a continuation of the great revolutions of England and France, is trying to reach the point where the French revolution stopped before it succeeded in creating what they called “equality in fact,” that is, economic equality. Unhappily, this effort has been made in Russia under a strongly centralized party dictatorship. This effort was made in the same way as the extremely centralized and Jacobin endeavor of Babeuf. I owe it to you to say frankly that, according to my view, this effort to build a communist republic on the basis of a strongly centralized state communism under the iron law of party dictatorship is bound to end in failure. We are learning to know in Russia how not to introduce communism, even with a people tired of the old regime and opposing no active resistance to the experiments of the new rulers. 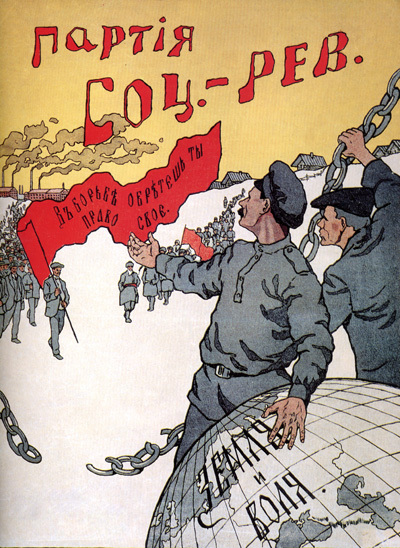 The idea of soviets, that is to say, of councils of workers and peasants, conceived first at the time of the revolutionary attempt in 1905, and immediately realized by the revolution of February, 1917, as soon as Czarism was overthrown, – the idea of such councils controlling the economic and political life of the country is a great idea. All the more so, since it necessarily follows that these councils should be composed of all who take a real part in the production of national wealth by their own efforts. But as long as the country is governed by a party dictatorship, the workers’ and peasants’ councils evidently lose their entire significance. They are reduced to the passive role formerly played by the “States General,” when they were convoked by the king and had to combat an all-powerful royal council. A council of workers ceases to be free and of any use when liberty of the press no longer exists, and we have been in that condition for two years, – under a pretext that we are in a state of war. But more still. The workers’ and peasants’ councils lose their significance when the elections are not preceded by a free electoral campaign, and when the elections are conducted under pressure by a party dictatorship. Naturally, the usual excuse is that a dictatorship is inevitable in order to combat the old regime. But such a state of affairs is evidently a step backwards, since the revolution is committed to the construction of a new society on a new economic base. It means the death-knell of the new system. The methods of overthrowing an already enfeebled government are well known to ancient and modern history. But when it is necessary to create new forms of life, especially new forms of production and exchange, without having examples to imitate; when everything must be constructed anew; when a government which undertakes to furnish every citizen with a lamp and even the match to light it, and then cannot do it even with a limitless number of officials, – that government becomes a nuisance. It develops a bureaucracy so formidable that the French bureaucracy, which requires the help of forty officials to sell a tree broken down by a storm on the national highway, is a mere bagatelle in comparison. That is what we are learning in Russia. And that is what you workers of the west should avoid by every means, since you have at heart the success of a real social reconstruction. Send your delegates here to see how a social revolution is working in real life. The immense constructive work demanded by a social revolution cannot be accomplished by a central government, even if it had to guide it something more substantial than a few socialist and anarchist hand-books. It has need of knowledge, of brains and of the voluntary collaboration of a host of local and specialized forces which alone can attack the diversity of economic problems in their local aspects. To reject this collaboration and to turn everything over to the genius of party dictators is to destroy the independent center of our life, the trade unions and the local cooperative organizations, by changing them into bureaucratic organs of the party, as is the case at this time. That is the way not to accomplish the revolution, to make its realization impossible And that is why I consider it my duty to put you on guard against borrowing any such methods . . . The late war has brought about new conditions of life for the whole civilized world. Socialism will certainly make considerable progress, and new forms of more independent life will be created based on local autonomy and free initiative. They will be created either peacefully, or by revolutionary means. But the success of this reconstruction will depend in great part on the possibility of direct cooperation between the different peoples. To achieve that, it is necessary that the working classes of all nations should be directly united and that the idea of a great international of all the workers of the world should be taken up again, but not in the form of a union directed by a single political party, as in the case of the Second and Third Internationals. Such unions have of course plenty of reason to exist, but outside of them, and uniting all, there should be a union of all the workers’ organizations of the world, federated to deliver world production from its present subjection to capitalism. I concluded the chapter on the Russian Revolution in Volume One of Anarchism: A Documentary History of Libertarian Ideas with reflections on the Russian Revolution by Voline, Emma Goldman and Alexander Berkman. 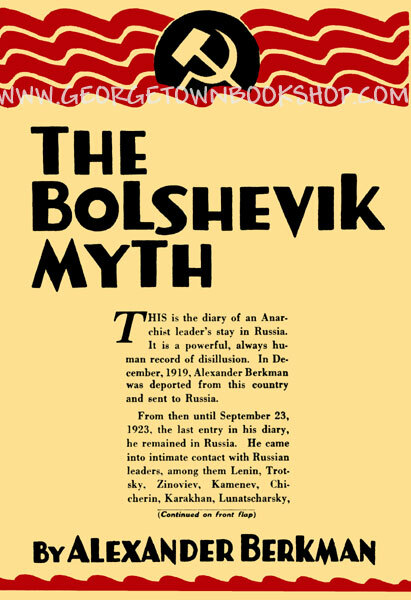 Berkman’s assessment of the Russian Revolution was taken from the post-script to his exposé of the counter-revolutionary role of the Bolsheviks under Lenin, The Bolshevik Myth. 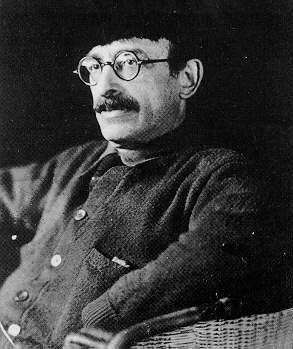 Earlier, Berkman had published a pamphlet setting forth his preliminary views on the Russian Revolution, The Russian Tragedy, from which the following excerpts have been taken. We live at a time when two civilizations are struggling for their existence. Present society is at death grips with the New Ideal. The Russian Revolution was but the first serious combat of the two forces, whose struggle must continue till the final triumph of the one or of the other. The Russian Revolution has failed – failed of its ultimate purpose. But that failure is a temporary one. In the point of revolutionizing the thought and feeling of the masses of Russia and of the world, in undermining the fundamental concepts of existing society, and lighting the torch of faith and hope for the Better Day, the Russian Revolution has been of incalculable educational and inspirational value to mankind. 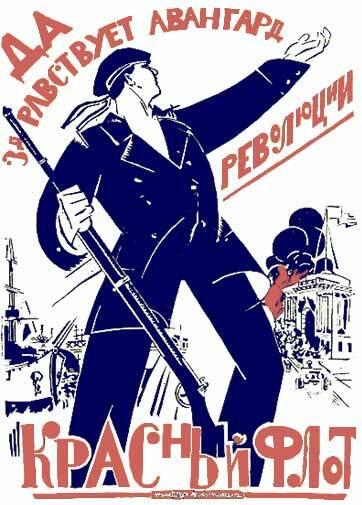 Though the Russian Revolution failed to achieve its true goal, it will forever remain a most magnificent historic event. And yet – tremendous as it is – it is but an incident in the gigantic war of the two worlds. Nothing could be further from the truth. As a matter of historic fact, the great event known as the October Revolution was in the profoundest sense a social revolution. It was characterized by all the essentials of such a fundamental change. It was accomplished, not by any political party, but by the people themselves, in a manner that radically transformed all the heretofore existing economic, political and social relations. But it did not take place in October. That month witnessed only the formal “legal sanction” of the revolutionary events that had preceded it. That was on October 10th . Practically all the real power was already with the Soviets. 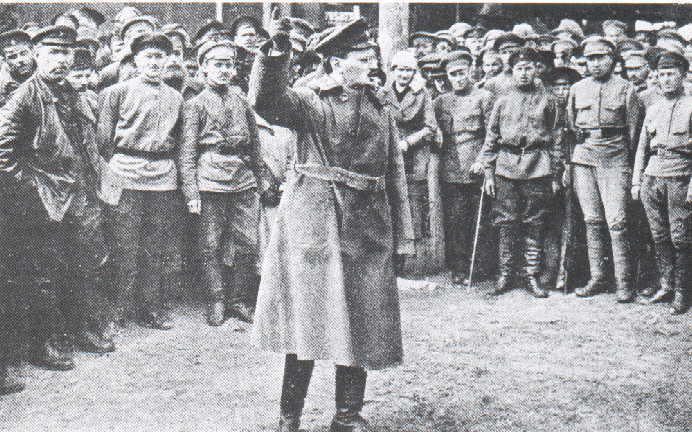 In July the Petrograd uprising against Kerensky was crushed, but in August the influence of the revolutionary workers and of the garrison was strong enough to enable them to prevent the attack planned by Korniloff. The Petrograd Soviet gained strength from day to day. On October 16th it organized its own Revolutionary Military Committee, an act of defiance of and open challenge to the government. 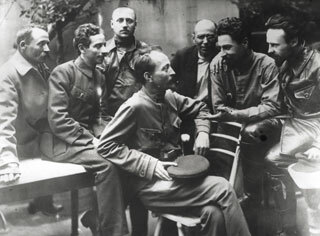 The Soviet, through its Revolutionary Military Committee, prepared to defend Petrograd against the coalition government of Kerensky and the possible attack of General Kaledin and his counter-revolutionary Cossacks. On October 22nd the whole proletarian population of Petrograd, solidarically supported by the garrison, demonstrated throughout the city against the government and in favour of “All power to the Soviets”. The All-Russian Congress of Soviets was to open on October 25th. The provisional government, knowing its very existence in imminent peril, resorted to drastic action. 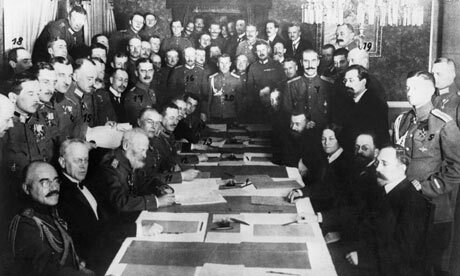 On October 23rd the Petrograd Soviet ordered the Kerensky Cabinet to withdraw within 48 hours. Driven to desperation, Kerensky undertook – on October 24th – to suppress the revolutionary press, arrest the most prominent revolutionists of Petrograd, and remove the active Commissars of the Soviet. The government relied on the “faithful” troops and on the young yunkers of the military student schools. But it was too late: the attempt to sustain the government failed. During the night of October 24-25 [November 6-7 on the non-Russian calendar] the Kerensky government was dissolved – peacefully, without bloodshed – and the exclusive supremacy of the Soviets was established. The Communist Party stepped into power. 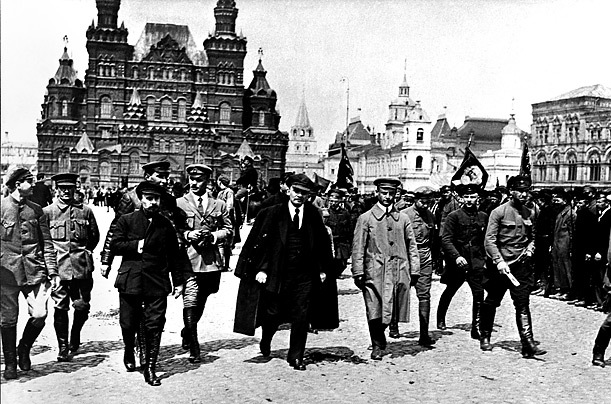 It was the political culmination of the Russian Revolution. Various factors contributed to the success of the Revolution. To begin with, it met with almost no active opposition: the Russian bourgeoisie was unorganized, weak and not of a militant disposition. But the main reasons lay in the all-absorbing enthusiasm with which the revolutionary slogans had fired the whole people. “Down with the war!”, “Immediate peace!”, “The land to the peasant, the factory to the workers!”, “All power to the Soviets!” – these were expressive of the passionate soul cry and deepest needs of the great masses. No power could withstand their miraculous effect. Another very potent factor was the unity of the various revolutionary elements in their opposition to the Kerensky government. Bolsheviki, Anarchists, the left faction of the Social Revolutionist party, the numerous politicals freed from prison and Siberian exile, and the hundreds of returned revolutionary emigrants, had all worked during the February-October months toward a common goal. But if “it was easy to begin” the Revolution, as Lenin had said in one of his speeches, to develop it, to carry it to its logical conclusion was another and more difficult matter. Two conditions were essential to such a consummation: continued unity of all the revolutionary forces, and the application of the country’s goodwill, initiative and best energies to the important work of the new social construction. It must always be remembered – and remembered well – that revolution does not mean destruction only. It means destruction plus construction, with the greatest emphasis on the plus. Most unfortunately, Bolshevik principles and methods were soon fated to prove a handicap, a drawback upon the creative activities of the masses. The Bolsheviki are Marxists. Though in the October days they had accepted and proclaimed anarchist watchwords (direct action by the people, expropriation, free Soviets, and so forth), it was not their social philosophy that dictated this attitude. They had felt the popular pulse – the rising waves of the Revolution had carried them far beyond their theories. But they remained Marxists. At heart they had no faith in the people and their creative initiative. As social-democrats they distrusted the peasantry, counting rather upon the support of the small revolutionary minority among the industrial element. As Marxists, the Bolsheviki insisted on the nationalization of the land: ownership, distribution and control to be in the hands of the State. 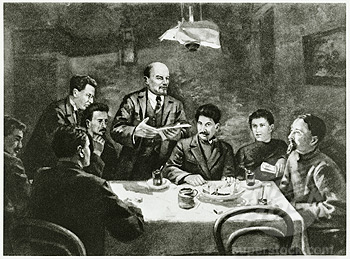 They were in principle opposed to socialization, and only the pressure of the Left faction of the Social Revolutionists (the Spiridonova-Kamkov wing) whose influence among the peasantry was traditional, forced the Bolsheviki to “swallow the agrarian program of the Socialist-Revolutionists whole”, as Lenin afterwards put it. From the first days of their accession to political power the Marxist tendencies of the Bolsheviki began to manifest themselves, to the detriment of the Revolution. Social-Democratic distrust of the peasantry influenced their methods and measures. At the All-Russian Conferences the peasants did not receive equal representation with the industrial workers. Not only the village speculator and exploiter, but the agrarian population as a whole was branded by the Bolsheviki as “petty bosses” and “bourgeois”, “unable to keep step with the proletariat on the road to socialism”. 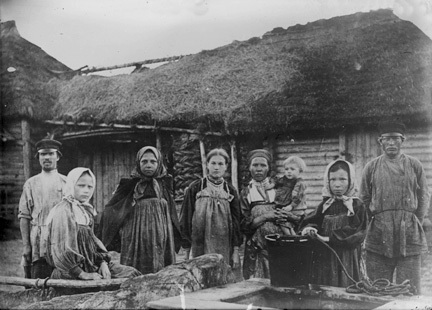 The Bolshevik government discriminated against the peasant representatives in the Soviets and at the National Conferences, sought to handicap their independent efforts, and systematically narrowed the scope and activities of the Land Commissariat, then by far the most vital factor in the reconstruction of Russia. (The Commissariat was then presided over by a Left Social Revolutionist). Then came the Brest-Litovsk peace. In its far-reaching results it proved the death blow to the Revolution. Two months previously, in December, 1917, Trotsky had refused, with a fine gesture of noble indignation, the peace offered by Germany on conditions much more favourable to Russia. “We wage no war, we sign no peace!” he had said, and revolutionary Russia applauded him. “No compromise with German imperialism, no concessions”, echoed through the length and breadth of the country, and the people stood ready to defend their Revolution to the very death. But now Lenin demanded the ratification of a peace that meant the most mean-spirited betrayal of the greater part of Russia, Finland, Latvia, Lithuania, Ukraine, White Russia, Bessarabia – all were to be turned over to the oppression and exploitation of the German invader and of their own bourgeoisie. It was a monstrous thing – the sacrifice at once of the principles of the Revolution and of its interests as well. 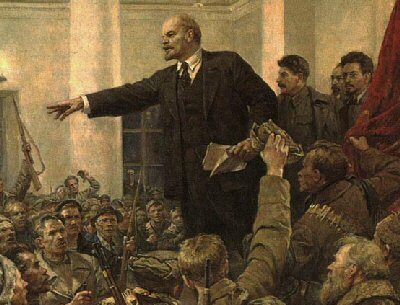 Lenin insisted on ratification, on the ground that the Revolution needed a “breathing spell”, that Russia was exhausted, and that peace would enable the “revolutionary oasis” to gather strength for new effort. Radek denounced acceptance of Brest-Litvosk conditions as betrayal of the October Revolution. Trotsky disagreed with Lenin. The revolutionary forces split. The Left Social Revolutionists, most of the Anarchists and many of the nonpartisan revolutionary elements were bitterly opposed to making peace with imperialism, especially on the terms dictated then by Germany. They declared that such a peace would be fatal to the Revolution; that the principle of “peace without annexations” must not be sacrificed; that the German conditions involved the basest treachery to the workers and peasants of the provinces demanded by the Prussians; that the peace would subject the whole of Russia to economic and political dependence upon German Imperialism, that the invaders would possess themselves of the Ukrainan bread and the Don coal, and drive Russia to industrial ruin. It was Trotsky who first asserted in refusing the German peace terms offered in December, 1917, that the workers and peasants, inspired and armed by the Revolution, could by guerilla warfare overcome any army of invasion. The Left Social Revolutionists now called for peasant uprisings to oppose the Germans, confident that no army could conquer the revolutionary ardor of a people fighting for the fruits of their great Revolution. Workers and peasants, responding, rushed to the aid of Ukraine and White Russia, then valiantly struggling against the German invaders. Trotsky ordered the Russian army to pursue and suppress these partisan units. The killing of Mirbach [the German ambassador] followed. It was the protest of the Left Social Revolutionist Party against, and the defiance of, Prussian imperialism within Russia. The Bolshevik government initiated repressive measures: it now felt itself, as it were, under obligations to Germany. Dzerzhinsky, head of the All-Russian Extraordinary Commission [the Bolshevik secret police], demanded the delivery of the terrorist. It was a situation unique in revolutionary annals: a revolutionary party in power demanding of another revolutionary party, with which it had till then cooperated, the arrest and punishment of a revolutionist for executing the representative of an imperialist government! The Brest-Litvosk peace had put the Bolsheviki in the anomalous position of a gendarme for the Kaiser. The Left Social Revolutionists replied to Dzerzhinsky’ demand by arresting the latter. This act, and the armed skirmishes which followed it (though insignificant in themselves) were thoroughly exploited by the Bolsheviki politically. They declared that it was an attempt of the Left Social Revolutionist Party to seize the reins of government. They announced that party outlawed, and their extermination began. These Bolshevik methods and tactics were not accidental. Soon it became evident that it is the settled policy of the Communist State to crush every form of expression not in accord with the government. After the ratification of the Brest-Litvosk peace the Left Social Revolutionist Party withdrew its representative in the Soviet of People’s Commissars. The Bolsheviki thus remained in exclusive control of the government. Under one pretext and another there followed most arbitrary and cruel suppression of all the other political parties and movements. The Mensheviki and the Right Social Revolutionists had been “liquidated” long before, together with the Russian bourgeoisie. Now was the turn of the revolutionary elements – the Left Social Revolutionists, the Anarchists, the non-partisan revolutionists. But the “liquidation” of these involved much more than the suppression of small political groups. These revolutionary elements had strong followings, the Left Social-Revolutionists among the peasantry, the Anarchists mainly among the city proletariat. The new Bolshevik tactics encompassed systematic eradication of every sign of dissatisfaction, stifling all criticism and crushing independent opinion or effort. With this phase the Bolsheviki enter upon the dictatorship over the proletariat, as it is popularly characterized in Russia. The government’s attitude to the peasantry is now that of open hostility. More increasingly is violence resorted to. Labour unions are dissolved, frequently by force, when their loyalty to the Communist Party is suspected. The cooperatives are attacked. This great organization, the fraternal bond between city and country, whose economic functions were so vital to the interests of Russia and of the Revolution, is hindered in its important work of production, exchange and distribution of the necessaries of life, is disorganized, and finally completely abolished. Arrests, night searches, zassada (house blockade), executions, are the order of the day. The Extraordinary Commissions (the Cheka), originally organized to fight counter-revolution and speculation, is becoming the terror of every worker and peasant. Its secret agents are everywhere, always unearthing “plots”, signifying the razstrel (shooting) of hundreds without hearing, trial or appeal. From the intended defence of the Revolution the Cheka becomes the most dreaded organization, whose injustice and cruelty spread terror over the whole country. All-powerful, owing no one responsibility, the Cheka is a law unto itself, possesses its own army, assumes police, judicial, administrative and executive powers, and makes its own laws that supersede those of the official State. The prisons and concentration camps are filled with alleged counter-revolutionists and speculators, 95 per cent of whom are starved workers, simple peasants, and even children of 10 to 14 years of age… Communism becomes synonymous in the popular mind with Chekism, the latter the epitome of all that is vile and brutal. The seed of counter-revolutionary feeling is sown broadcast. The other policies of the “revolutionary government” keep step with these developments. Mechanical centralization, run mad, is paralyzing the industrial and economic activities of the country. Initiative is frowned upon, free effort systematically discouraged. The great masses are deprived of the opportunity to shape the policies of the Revolution, or take part in the administration of the affairs of the country. The government is monopolizing every avenue of life: the Revolution is divorced from the people. A bureaucratic machine is created that is appalling in its parasitism, inefficiency and corruption. In Moscow alone this new class of sovburs (Soviet bureaucrats) exceeds, in 1920, the total of office holders throughout the whole of Russia under the Tsar in 1914… The Bolshevik economic policies, effectively aided by this bureaucracy, completely disorganize the already crippled industrial life of the country. Lenin, Zinoviev, and other Communist leaders thunder philippics against the new Soviet bourgeoisie — and issue ever new decrees that strengthen and augment its numbers and influence. The system of yedinolitchiye is introduced: management by one person. Lenin himself is its originator and chief advocate. Henceforth the shop and factory committees are to be abolished, stripped of all power. Every mill, mine, and factory, the railroads and all the other industries are to be managed by a single head, a “specialist” — and the old Tsarist bourgeoisie is invited to step in. The former bankers, bourse operators, mill owners and factory bosses become the managers, in full control of the industries, with absolute power over the workers. They are vested with authority to hire, employ and discharge the “hands”, to give or deprive them of the payok (food ration), even to punish them and turn them over to the Cheka. The workers, who had fought and bled for the Revolution and were willing to suffer, freeze and starve in its defence, resent this unheard of imposition. They regard it as the worst betrayal. They refuse to be dominated by the very owners and foremen whom they had driven, in the days of the Revolution, out of the factories and who had been so lordly and brutal to them. They have no interest in such a reconstruction. The “new system”, heralded by Lenin as the saviour of the industries, results in the complete paralysis of the economic life of Russia, drives the workers en masse from the factories, and fills them with bitterness and hatred of everything “socialistic”. The principles and tactics of Marxian mechanization of the Revolution are sealing its doom. The fanatical delusion that a little conspiratorial group, as it were, could achieve a fundamental social transformation proved the Frankenstein of the Bolsheviki. It led them to incredible depths of infamy and barbarism. The methods of such a theory, its inevitable means, are twofold: decrees and terror. Neither of these did the Bolsheviki spare. As Bukharin, the foremost ideologue of the militant Communists taught, terrorism is the method by which capitalistic human nature is to be transformed into fit Bolshevik citizenship. Freedom is “a bourgeois prejudice” (Lenin’s favourite expression), liberty of speech and of the press unnecessary, harmful. The central government is the depository of all knowledge and wisdom. It will do everything. The sole duty of the citizen is obedience. The will of the State is supreme. Stripped of fine phrases, intended mostly for Western consumption, this was and is the practical attitude of the Bolshevik government. This government, the real and only actual government of Russia, consists of five persons, members of the inner circle of the Central Committee of the Communist Party of Russia. These “Big Five” are omnipotent. This group, in its true essence conspiratorial, has been controlling the fortunes of Russia and of the Revolution since the Brest-Litvosk peace. What has happened in Russia since has been in strict accord with the Bolshevik interpretation of Marxism. That Marxism, reflected through the Communist inner circle’s megalomania of omniscience and omnipotence, has achieved the present debacle of Russia. In consonance with their theory, the social fundamentals of the October Revolution have been deliberately destroyed. The ultimate object being a powerfully centralized State, with the Communist Party in absolute control, the popular initiative and the revolutionary creative forces of the masses had to be eliminated. The elective system was abolished, first in the army and navy, then in the industries. The Soviets of peasants and worker’s were castrated and transformed into obedient Communist committees, with the dreaded sword of the Cheka ever hanging over them. The labour unions governmentalized, their proper activities suppressed, they were turned into mere transmitters of the orders of the State. Universal military service, coupled with the death penalty for conscientious objectors; enforced labour, with a vast officialdom for the apprehension and punishment of “deserters”; agrarian and industrial conscription of the peasantry; military Communism in the cities and the system of requisitioning in the country, characterized by Radek as simply grain plundering… the suppression of workers’ protests by the use of the military; the crushing of peasant dissatisfaction with an iron hand, even to the extent of whipping the peasants and razing their villages with artillery – (in the Ural, Volga and Kuban districts, in Siberia and Ukraine) – this characterized the attitude of the Communist State toward the people, this comprised the “constructive social and economic policies” of the Bolsheviki. Still the Russian peasants and workers, prizing the Revolution for which they had suffered so much, kept bravely fighting on numerous military fronts. They were defending the Revolution, as they thought. They starved, froze, and died by the thousands, in the fond hope that the terrible things the Communists did would soon cease. The Bolshevik horrors were, somehow – the simple Russian thought – the inevitable result of the powerful enemies “from abroad” attacking their beloved country. But when the wars will at last be over – the people naively echoed the official press – the Bolsheviki will surely return to the revolutionary path they entered in October 1917, the path the wars had forced them temporarily to forsake. The masses hoped and endured. And then, at last, the wars were ended. Russia drew an almost audible sigh of relief, relief palpitating with deep hope. It was the crucial moment: the great test had come. The soul of a nation was aquiver. To be or not to be? And then full realization came. The people stood aghast. Repressions continued, even grew worse. The piratical razvyorstka [compulsory food requisitioning], the punitive expeditions against the peasants, did not abate their murderous work. The Cheka was unearthing more “conspiracies”, executions were taking place as before. Terrorism was rampant. The new Bolshevik bourgeoisie lorded itself over the workers and the peasants, official corruption was vast and open, huge food supplies were rotting through Bolshevik inefficiency and centralized State monopoly — and the people were starving. 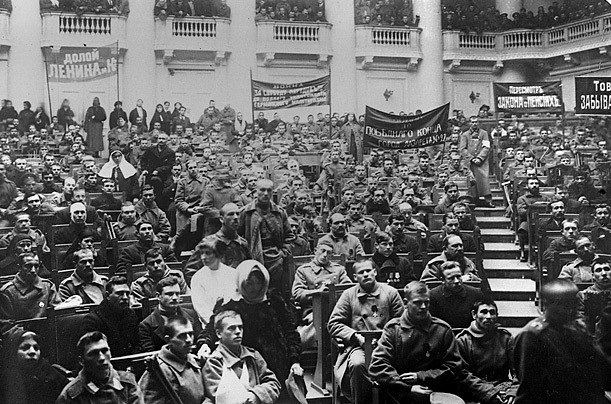 The Petrograd workers, always in the forefront of the revolutionary effort, were the first to voice their dissatisfaction and protest. The Kronstadt sailors, upon investigation of the demands of the Petrograd proletariat, declared themselves [in solidarity] with the workers. In their turn they announced their stand for free Soviets, Soviets free from Communist coercion, Soviets that should in reality represent the revolutionary masses and voice their needs. In the middle provinces of Russia, in Ukraine, on the Caucasus, in Siberia, everywhere the people made known their wants, voiced their grievances, informed the government of their demands. 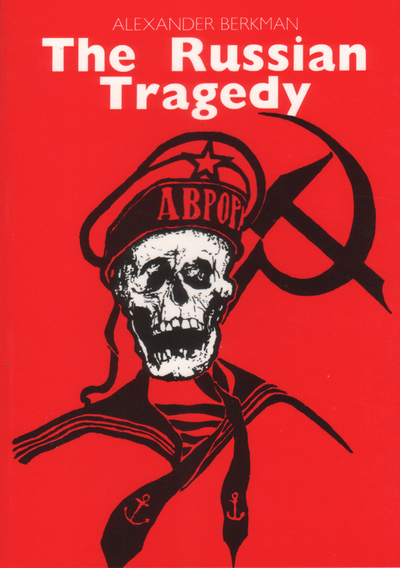 The Bolshevik State replied with its usual argument: the Kronstadt sailors were decimated, the “bandits” of Ukraine massacred, the “rebels” of the East laid low with machine guns. This done, Lenin announced at the 10th Congress of the Communist Party of Russia (March 1921) that his former policies were all wrong. The razvyorstka, the requisition of food, was pure robbery. Military violence against the peasantry a “serious mistake”. The workers must receive some consideration. The Soviet bureaucracy is corrupt and criminal, a huge parasite. “The methods we have been using have failed.” The people, especially the rural population, are not yet up to the level of Communist principles. Private ownership must be re-introduced, free trade established. Henceforth the best Communist is he who can drive the best bargain (Lenin’s expression). Or will the workers at last learn the great lesson Of the Russian Revolution, that every government, whatever its fine name and nice promises is by its inherent nature, as a government, destructive of the very purposes of the social revolution? It is the mission of government to govern, to subject, to strengthen and perpetuate itself. It is high time the workers learn that only their own organized, creative efforts, free from Political and State interference, can make their age-long struggle for emancipation a lasting success.